The following is an enlisted response to It’s Time to Abolish the Enlisted-Officer Divide at Task and Purpose. 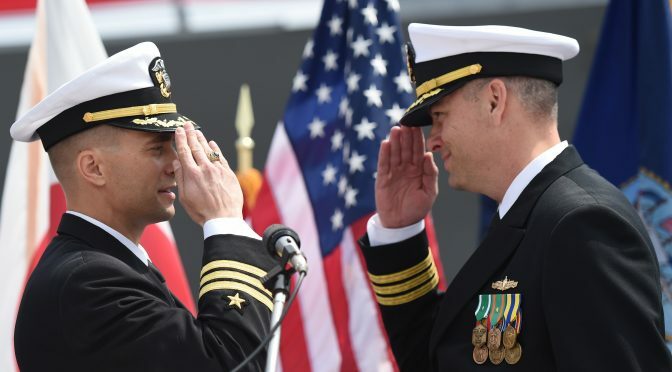 Task and Purpose published an article by former active duty Marine William Treseder titled, “It’s Time to Abolish the Enlisted-Officer Divide”. As an active duty enlisted member that would like to see some changes to the current regulations, I was disappointed by both the arguments and the lack of a solution presented. 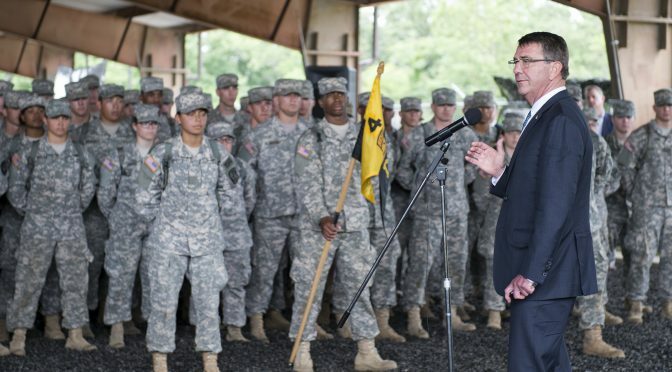 The worst offender is the distinction between enlisted and commissioned personnel? Why? What makes it the worst offender? 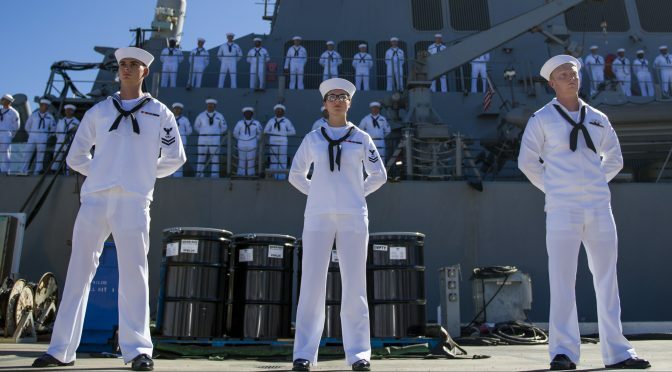 I can think of any number of gripes and complaints I’ve heard from my shipmates (both officers and enlisted), and the enlisted officer divide is at the bottom of that list, if on the list at all. The fundamental divide between an officer and an enlisted member deals with Responsibility, Authority, and Accountability. Simply, an officer is given more, and more is expected from him/her. Many junior enlisted (myself included when I was but an ET3) look at an Ensign and don’t have an understanding of what accountability is. When junior enlisted make mistakes, the consequences are generally small. Treseder mentions his job as a corporal in charge of a fire team of six Marines. 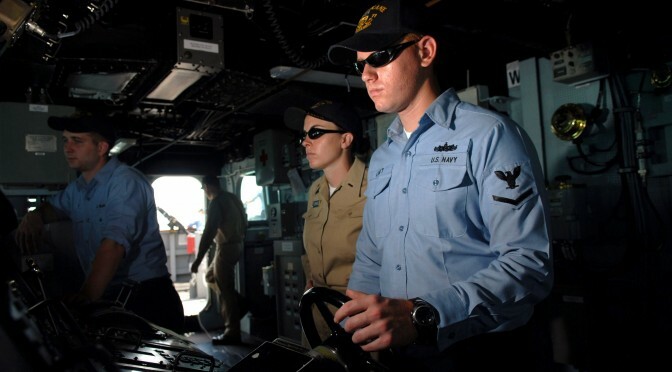 Yes, that is an enormous responsibility, but fundamentally different from the level of responsibility an Ensign standing Officer of the Deck underway has. While both have control over life and death, the impact is different. 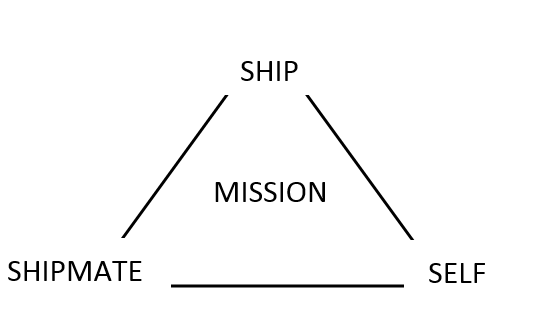 National security is impacted when a ship runs aground, if a fire team loses two Marines it is a tragedy for their families and teammates, but the mission will still continue, and national security is very likely to be maintained. Furthermore, an Ensign’s mistake is likely to be the end of their career, while a junior enlisted’s mistake will generally result in reduction in rank and restriction…but a career-even a very successful one-is still possible. Interestingly, Treseder points out a great explanation of what the difference between officers and enlisted is that came from Quora. I recommend following that link, because former active duty Marine Jon Davis explains the differences very well. This is waived aside by Treseder, however, by saying the difference between the two groups is “imaginary…convenient system we keep using because it is easier than trying to reorganize”. As an Electronics Technician with 11+ years in the Navy, let me be the first to say that while I have no problem regularly scoring in the top 10% of my shipmates on the advancement exam, and a qualified Junior Officer of the Deck underway, I have very little knowledge on how to be a Department Head on a US Navy warship. Could I learn? Absolutely. But I would first have to learn how to be a Division Officer, spend at least one deployment as Officer of the Deck, learn how to think and act like an officer instead of an enlisted person, etc. Troubleshooting radios and ensuring communications work is vastly different from running a department. To say there is a difference between the two groups is not to say that one is superior to the other. Only you can make yourself feel inferior to another human being. Anyone with military experience knows the difference between a leader who can make things happen, and one who can’t. I’ve met boot Ensigns that were better leaders than some Chiefs, although the opposite is generally the case. No leader relies on rank to make things happen: leaders get it done; rank follows. Both officers and enlisted use the same basic tenets of leadership, but each lead in different capacities. It is a disservice to each to pretend there is not separation of responsibility, accountability, and authority. This reminds me on another thing I hear on occasion from junior sailors: “we should salute Chiefs”. The mistake made there is that a person requires a salute to be respected, or that a salute somehow solidifies their leadership role. But as a service member moves up the ranks, it becomes more obvious that Chiefs don’t need a salute to be effective. Their ability to get things done, which was rewarded with anchors (not created by them), commands respect. Which is it? Are we better trained now, or not? Why did the author put that line in the first paragraph, if he doesn’t believe it to be true? I’m going to go out on a limb and say if you’re treated like a conscripted idiot, you’re probably creating that reality for yourself. And that is a reality that is neither confined to the enlisted nor the officer ranks. 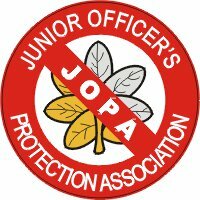 And if you don’t think that new officers are frustrated by their superiors, I’d suggest you find out what JOPA stands for. Let’s stop fiddling with our military for five minutes and appreciate some of things it actually does correctly. ET1(SW) Jeff Anderson is the San Diego CIMSEC chapter president and currently is assigned to LCS 2 (USS Independence).